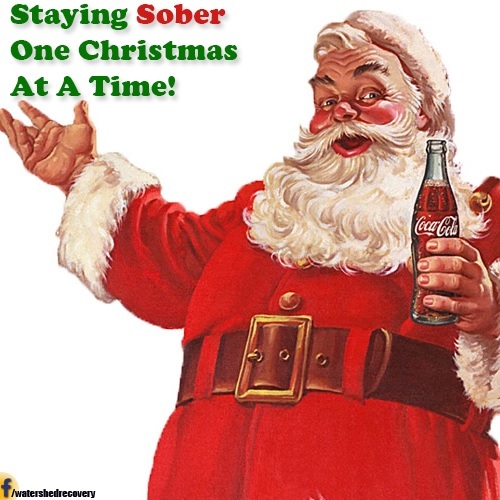 This time of year is meant to be joyous for many people, but unfortunately, the holidays can bring on more stress and emotional turmoil than tidings of comfort and joy and Avoiding Addiction Relapse during the Holidays can be tough. Family expectations can be trying, even in relatively good relationships, and there is also the added strain of financial obligations as gifts and travel are a part of the social expectations of the holidays. But this season is even harder for the recovering addict. Every day for the recovering addict is work, a fight against the addiction that tempts the recovering addict with easement or escape. Though patients in addiction recovery understand the guilt as well as the consequences of relapse, that doesn’t make the work easier; sobriety isn’t instant, and it’s not magical, and life won’t be perfect as soon as the substance is removed from the life of the patient in addiction recovery. Therefore, it’s important to go into the holiday stretch with a solid game plan (though this is far from a game). Think about what you would do in any given situation you may find yourself in during this holiday season and actually go through the practice of rehearsing your responses. Visualize yourself saying no to relapse and saying yes to your sobriety. Next, know your triggers. These come in different forms. Triggers can be your family. If you have relationships that trigger stress and are emotionally toxic, maybe stay clear of those people during this holiday season. Sometimes this isn’t as easy, and you may be forced to be around family members with whom you disagree or with whom you have a complicated history. Being sober won’t change this. What you can do instead of taking their bait is to make a plan in advance to not get riled up in the same way you did before. They may get to you; you don’t have to get back at them, and absolutely avoid any behavior that may become manipulative. You can also limit the amount of time you spend with family members who bring out the worst in you; if there are expectations to show up, show up and have a backup plan for getting yourself away from the toxic triggers. Maybe you always planned to leave early and go somewhere else. Another trigger is the substance. If it’s alcohol, holiday parties are filled with alcohol. This is the challenge, and there are a couple of ways to cope with this. On one hand, arrange for an activity that doesn’t involve a group of people sitting around just to talk. Oftentimes, drinking comes out of boredom or complacency, as people often use alcohol to fill their hands and the dead spaces in the conversation. But people are also much more likely to be led into alternate activities to get in holiday visitation time; these can include decorating, cooking, watching movies, or you can do plenty of outdoor activities to get yourself away from toxic domestic rituals that involve a substance. On the other hand, make a plan in case you run into old friends who foster or encourage relapse, or an ex who may be an emotional trigger, or any interaction that may lead to an old craving. And speaking of cravings: Often, a real craving will last only for 20 minutes. Take that time to evaluate your progress, ease yourself out of the situation, and get away from temptation. Repeat to yourself how good sobriety makes you feel. Have a plan for what to do if you come across any of these cravings. Remember also that low blood sugar can lead to irritability, which can become a trigger for a craving and subsequent relapse; make sure to take care of yourself and get enough to eat and get plenty of rest. Keep your stress levels as low as possible. Also, know what’s on the menu. Alcohol can sneak into any number of holiday dishes, and even if it’s “cooked out,” sometimes that’s not always the case. And if the flavor is there, that taste can serve as an emotional trigger. If you’re not comfortable asking what’s on the menu, think of all the vegans and gluten-free dieters out there who do the same. If you’re still not comfortable, bring something with you to eat or drink that you know to be safe and stick with that. Finally, do activities that make you happy or bring you a sense of peace and satisfaction. Maybe that means volunteering at a homeless shelter or spending time with animals. Maybe it involves doing some kind of healthy activity, such as leading a group hike, one not “associated” with the holidays. What can remind you of how good you feel? Finding any little joy is a great power on your side when going through addiction recovery and doing your best every day to avoid relapse. And remember: if you need help during the holidays to prevent addiction relapse, have your people or person to call who will help you. Reach out to a sober friend or go to a meeting or safe place. You don’t have to go through this alone.